Professor Paul Fitzgerald is Deputy Director of MAPrc, Professor of Psychiatry, and Consultant Psychiatrist at Alfred Psychiatry. He is a qualified psychiatrist, has a Masters of Psychological Medicine and research PhD. 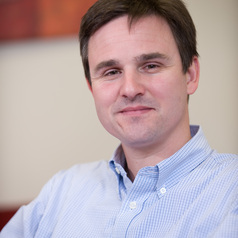 Professor Fitzgerald runs a substantive research program utilising brain stimulation and neuroimaging techniques including transcranial magnetic stimulation, functional and structural MRI, EEG and near infrared spectroscopy. The program has focussed on the conduct of investigative studies of brain function / dysfunction in disorders such as schizophrenia, depression, substance abuse and autism. In addition, he conducts clinical trials of novel brain stimulation techniques in these disorders.